Every year 35,000 or so of my closest friends assemble in New York City for the National Retail Federation’s “Big Show”–a three day extravaganza featuring dozens of presentations, a huge technology EXPO and networking, networking, networking. During my 25+ year career as an executive (at Neiman Marcus and Sears) and now as an independent consultant, author and speaker, I have attended at least a dozen times. This year three major things struck me. First, there was a giddy optimism as the industry convened on the heels of the most robust holiday season in more than a decade. Second, attendance was up considerably. No matter that the Javits Convention Center is ill equipped to handle the growing throngs. Third, much of the main stage content was steeped in overly self-promotional messaging; heavy on the “what” and largely devoid of any useful “how’s”. Organizers need to take note of how the audience regularly voted with its feet, leaving en masse during several sessions where the speaker failed to provide any truly useful or relevant content. Yet moving past some of the limitations seemingly inherent to most large industry conferences, there were a few major themes and takeaways from the event. Anyone who has been paying attention (or who has been following research from folks like Deloitte Digital) knows that the distinction between e-commerce and physical stores is increasingly a distinction without a difference. Digital drives brick & mortar shopping and vice versa. It’s all just commerce now and the customer is the channel. As outgoing NRF Chairperson and recently retired Macy’s CEO Terry Lundgren put it “retail is retail” wherever it occurs. It’s not clear to me why the industry has been so slow to embrace this reality, but various speakers seemed to finally acknowledge what I’ve been writing about since 2010–and what many winning brands having been putting into practice for years. Retailers need a one brand, many channels strategy and silos belong on farms. The death of physical retail has been greatly exaggerated. NRF CEO Matthew Shay was among several speakers who challenged the “retail apocalypse” narrative, pointing to the large number of retailers that continue to open stores (including many once online-only brands) and the fact that overall shopping in brick & mortar store has not declined. He won’t get any argument from me. Lost, however, in debunking the high-level narrative is any level of nuance. The fact is retail’s future is not being evenly distributed. On average physical retail is doing okay, but it’s fair to say that individual retailer’s mileage will vary–often considerably. The middle continues to collapse and many retailers’ existence is being challenged by the seismic shifts in retail. Physical is not dead, but boring retail is. A strong theme, both from speakers and from various exhibitors in the technology EXPO, was personalization. More and more retailers are finally accepting that one of the best paths to being more intensely relevant and remarkable is to treat different customers differently by using data and advanced technology to tailor marketing messages and the overall experience. Finding ways to be compelling, rather than creepy, annoying or just bad, isn’t easy, but retailers from emerging (Stitch Fix) to legacy (Neiman Marcus) are finding ways to make it work. Artificial intelligence is ready for its close-up. While still relatively early in its deployment, AI was at the center of major technology announcements, including IBM’s new V9 Watson-enabled commerce platform (full disclosure: I’m a member of their Influencer program). A wide range of companies, from Alibaba to eBay to Williams-Sonoma, also discussed how artificial intelligence, machine learning and related advanced analytics tools are enhancing their ability to execute marketing and merchandising strategies. Clearly, use cases are being proven out and momentum is building. The false ebullience of the holiday season. Coming off of a robust holiday season, optimism was definitely in the air. I hate to be cynical (though it IS one of my super powers), but there are at least two things to bear in mind as the industry moves forward. First, a month or two of above average sales is no guarantee of sustained momentum. Any euphoria from tax cuts and a buoyant stock market is likely to be short-lived as the realities of a largely dysfunctional US government and ballooning deficits become more apparent. Second, the gulf between the have’s and have not’s continues to widen. A great quarter for the industry in total does somewhere between little or nothing for failing retailers. Arguably, for a few, it may give them a tiny bit of breathing room. But the long-term prospects of brands like Sears, Macy’s and JC Penney are not meaningfully better because of the overall strong holiday season. We went into the season with a mixed-bag of performance and we’ll come out of it with the same exact mix. The best time to plant a tree. Nobody needed to attend the NRF show to be reminded that the retailers that have gone out of business–or are struggling mightily–suffer(ed) from two main root problems. First, they did not focus enough time and energy on deeply understanding their customers and evolving with those changing needs and wants. Second, they fundamentally failed to embrace a culture of innovation and experimentation. In addition to hearing from numerous fast-growing disruptive retailers, XRCLabs sponsored the Innovation Lab which showcased 25 emerging technology companies. There was plenty of variety to choose from in the booths and among the various talks. Both were typically packed. Of course the real question is how many were there as spectators versus how many will actually have the courage to act on what they saw and learned. Last week Target became the latest retailer to report weak earnings and shrinking physical store sales. They certainly won’t be the last. Brick-and-mortar retail is very different, but not dead. Still, most retailers will, regardless of any actions they take, continue to cede share to digital channels, whether it’s their own or those of disruptive competitors. To make the best of a challenging situation, retailers need a laser-like focus on increasing their piece of a shrinking pie, while optimizing their remaining investment in physical locations. And here we must deal with the reality that aside from the inevitable forces shaping retail’s future, there are many addressable faults in retailers’ stores. Here are a few of the most pervasive issues. Traditionalists often opine that it all about product, but that’s just silly. Experiences and overall solutions often trump simply offering the best sweater or coffee maker. Nevertheless, too many stores are drowning in a sea of sameness–in product, presentation and experience. The redundancy in assortments is readily apparent from any stroll through most malls. The racks, tables and signage employed by most retailers are largely indistinguishable from each other. And when was the last time there was anything memorable about the service you received from a sales associate at any of these struggling retailers? Too many stores still operate as independent entities, rather than an integral piece of a one brand, many channels customer strategy. Most customer journeys that result in a physical store visit start online. Many customers research in store only to consummate the transaction in a digital channel. The lines between digital and physical channels are increasingly blurred, often distinctions without a difference. Silos belong on farms. How often is the product we wish to buy out of stock? How difficult is it to find a store associate when we are ready to checkout? Can I order online and pick up in a store? If a store doesn’t have my size or the color I want can I easily get it shipped to my home quick and for free? Most of the struggling retailers have obvious and long-standing friction points in their customer experience. When in doubt about where to prioritize operational efforts, smoothing out the speed bumps is usually a decent place to start. As Amazon makes it easier and easier to buy just about anything from them, retailers must give their customers a tangible reason to traffic their stores and whip out their wallets once there. Good enough no longer is. Brands must dig deep to provide something truly scarce, relevant and remarkable. Much of the hype around in-store innovations is just that. For example, Neiman Marcus’ Memory Mirrors are cool, but any notion that they will transform traffic patterns, conversion rates or average ticket size on a grander scale is fantasy. Much of what is being tested is necessary, but hardly sufficient. The brands that are gaining share (and, by the way, opening stores) have transformed the entire customer experience, not merely taken a piecemeal approach to innovation. In an era where there was relative scarcity of product, shopping channels and information, one-size-fits all strategies worked. But now the customer is clearly in charge, and he or she can often tailor their experience to their particular wants and needs. Retailers need to employ advanced analytical techniques and other technologies to make marketing and the overall customer experience much more personalized, and to allow for greater and greater customization. More and more art and intuition are giving way to science and precision. Physical retail is losing share to e-commerce at the rate of about 110 basis points per year. While that is not terribly significant in the aggregate, this erosion will not be evenly distributed and the deleveraging of physical store economics will prove devastating to many slow to react retailers. This seemingly inexorable shift is causing many retailers to reflexively throw up their hands and choose to disinvest in physical retail. The result, as we’ve seen in spades, is that many stores are becoming boring warehouses of only the bestselling, most average product, presented in stale environments with nary a sales associate in sight. The fault in our stores are legion. But adopting an attitude that stores are fundamentally problems to be tolerated–or eliminated–rather than assets to be leveraged and improved, makes the outcome inevitable and will, I fear, eventually seal the fate of many once great retailers. A version of this story appeared at Forbes, where I am a retail contributor. You can check out more of my posts here. For a long time brands had the upper hand. 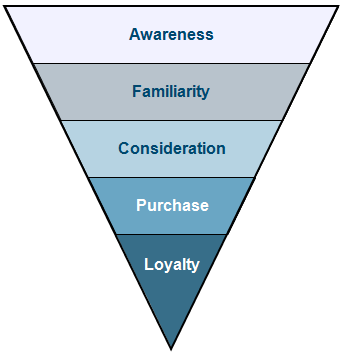 The purchase funnel was relatively straight-forward. Media channels were few and generally well controlled. The consumer’s access to product and pricing information was limited. Distribution channels were highly disciplined. Communication was largely one-way. Marketing plans were often drawn up just once year and any changes required substantial lead times. Mass marketing ruled the day. Today? Well not so much. The shift of power away from brands to consumers has been swift and profound. The advent of search unleashed a tsunami of information access that tipped the balance of power irretrievably. The rise of social networks allowed for tribes to connect more easily to share ideas, reviews and instantly understand that people like us do stuff like this. The rapid adoption of smart devices has meant that most consumers now have access to just about anything they want, anytime, anywhere, anyway. We no longer go online, we live online. Yet still some brands remain seemingly unconscious and horribly stuck. They continue peddling average products for average people, when no customer wants to be average. With nothing new and interesting to say, they simply shout it louder and more often. Many retail brands continue to rely on one-size-fits-all strategies when those programs rarely get noticed, must less drive any profitable business. In today’s attention economy these efforts remain merely a dim signal amidst the noise. The power shift away from the brand to the individual consumer and the power of the tribe is upon us. Retail has a new immediacy. Retail is now much more ME-tail and WE-tail than some holistic top down strategy cooked up in a conference room. Don’t kid yourself–you’ve never been less in control than right this very minute. And that’s not changing. The individual is the captain. The collective “we” increasingly rules the roost. And unlike in Captain Phillips, no one is coming to save us. We can only accept this reality, let go of the past and work with a new set of rules and tools.